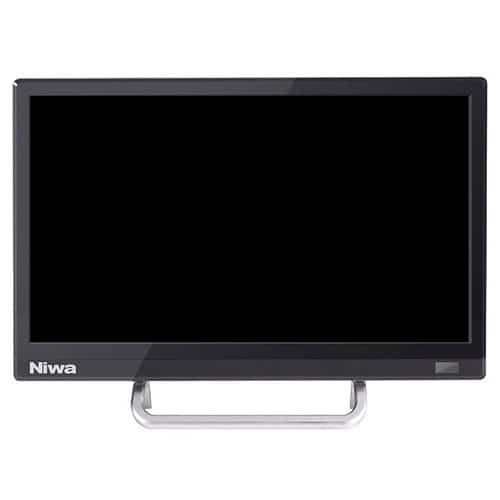 The Solar ELED TV Niwa 15,6″ combines very low power consumption with all features for latest generation. Integrated digital and analog tuner combined with HDMI, VGA and Video-In allows a very universal use for entertainment, education and presentation. Niwa develops, manufactures and distributes the next generation of ultra-affordable sustainable energy solutions for people living without electricity. The company is doing this by utilizing latest state-of-art technology like highly energy efficient LED modules, environmentally friendly batteries with the longest lifetime in the market and durable long lasting solar panels. Furthermore Niwa product design is fully optimized for the rural consumer – usability, practicability, toughness, reliability and long time durability – all features we put special emphasis on. The quality assurance team makes sure that all products leaving the factory comply to the same high standards. NIWA factories are capable of quickly adjusting to any market demand based on customer requests at the same level of production quality. All Niwa products are CE, EMC and RoHS certified. Uno 50, Multi 100 plus, Multi 300 and all MSS entry systems meet the Lighting Global Quality Standards from IFC / World Bank’s Ligting Africa program Join our ZERO Home Bills Community. The BEST Products from the BEST Brands at the BEST Retail Prices available in your market for ZERO Home Bills on ZEROhomebills.com by Solaranna.